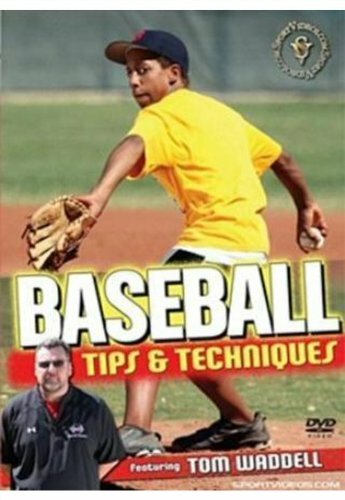 This informative DVD covers the essential fundamentals a baseball player needs to compete successfully. Coach Tom Waddell teaches players key techniques and provides a wide variety of unique drills for practicing and mastering baseball skills. Among the topics covered are: hitting, throwing, pitching, infield and outfield. Each area of the game is taught in a progressive manner that will maximize practice time and player improvement. The techniques in this DVD have been instrumental in helping to create successful players at all levels! 70 minutes About the Coach: Tom Waddell has been actively involved in the game of baseball for over 40 years. He is a former Major League Baseball pitcher for the Cleveland Indians. In 1984, he set the Indian's rookie record for appearances with 56. During his career, Tom had the opportunity to work with Hank Aaron, Johnny Sain, Luke Appling, Bobby Bonds, Bob Feller and Leo Mazzone. After several years in the major and minor leagues, he retired in after the 1989 season. Tom started to teach baseball in 1987 and has coached thousands of players during the past 23 years. He opened the Yard East Baseball School in 1995 in Tucson, Arizona.